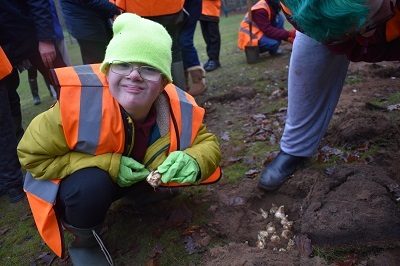 Pupils from Foxwood Academy got stuck into a tree planting event earlier this month, digging the holes for the trees, positioning the trees into place, and planting daffodil bulbs as part of the Council’s involvement with National Tree Week 2018 and the Borough’s ‘Clean & Green’ initiative. 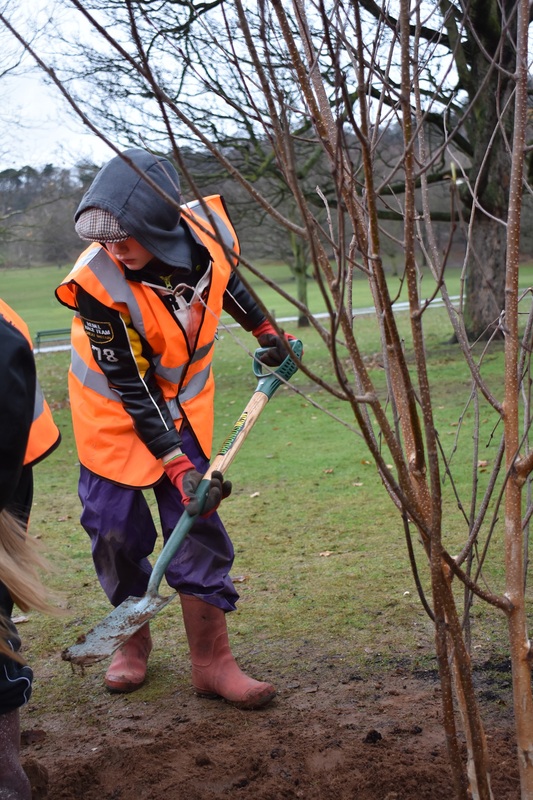 Two Silver Birches and one Mountain Ash were planted at Bramcote Hills Park by the students together with 400 daffodil bulbs on the edge of the woodland. 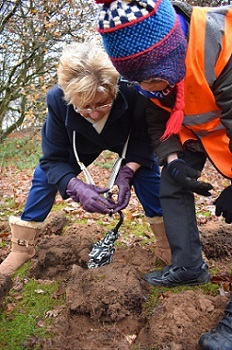 Broxtowe Borough Council, has committed to planting 1000 trees every year for the next 5 years and is on track to meet its year one target. These three trees mark the end of tree planting for 2018 and it was only fitting that they be planted in Broxtowe Borough’s largest park which has been awarded the Green Flag consecutively for the last 12 years. It was a real pleasure and privilege to be with the pupils and Foxwood School Staff last week in our our lovely Bramcote Park, much enhanced now by the three trees and spring bulbs planted by the Children. Thank you to Broxtowe Borough Council and their Staff for all their work and efforts as part of the ‘Pride in our Parks’ Campaign.